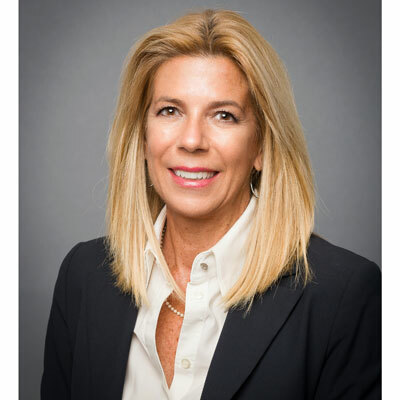 Renee Bergeron serves as senior vice president, global cloud, Ingram Micro. She leads the global cloud go-to-market organization and has responsibility for the division's organizational management, as well as its strategic direction, sales growth, marketing, alliance management and business development activities. With more than 25 years of business unit leadership experience, Bergeron is a driving force behind identifying and cultivating new opportunities in cloud computing for Ingram Micro. Bergeron joined Ingram Micro in September 2010. Prior to joining Ingram Micro, she led the $300 million IT Services Solutions business at Fujitsu America. At Fujitsu America, Bergeron oversaw the development of innovative solutions; most notably the company's managed security, data center virtualization and cloud computing offerings. Before Fujitsu, she led information technology divisions at media and banking companies, was a CIO at a financial institution, and was a director at a prominent international technology consulting firm. Bergeron holds a Bachelor of Science degree in computer science from Sherbrooke University in Sherbrooke, Canada, and a master's degree from McGill University in Montreal, Canada. She is based at Ingram Micro's headquarters in Irvine, California. Ingram Micro's global cloud organization continues to grow exponentially both by way of revenues, as well as resources. In 2017, we expanded our team globally, bringing on tremendous talents. And we also grew the Cloud Marketplace to include more than 200+ vendors, and now have more than 45,000 channel partners to sell through Ingram Micro Cloud. Additionally, more than one third of the world's telcos are partnering with Ingram Micro Cloud. We held several education and networking events, spent more time in the field with our partners to help them replicate success and establish recurring revenue streams, and focused on teaching our channel partners how to sell and support IaaS. Our business is advancing and continues to lead the market. More specifically, our Odin Service Automation platform has changed the game, giving us, as well as our partners, a clear competitive advantage. Today, channel partners can choose from three different platforms for their cloud business, and can get advice and leverage our team of cloud experts to accelerate the growth of their cloud business. We are hosting our 2018 Cloud Summit in Boca Raton, Florida in April and look forward to sharing the infinite possibilities the cloud affords channel partners. 2017 is all about expanding the business with our current customers and partners, and enabling them to cross-sell, up-sell and master selling XaaS (anything as a service). Ingram Micro Cloud has so much to offer and we want to help our customers and channel partners take advantage of all of it. I was recognized by CRN as one of the 2017 Women of the Channel and was named one of the top advocates and fundraisers for the Susan G Komen Race for the Cure. In a field dominated by males, Amelia Earhart pushed the envelope and refused to accept that women cannot be as successful as men. She wasn't afraid to go against the "norm" and didn't let anything or anyone stop her until she reached her goal. Take time to get to know the people you work with and for. You will never be successful without involving others and helping them succeed too. I would like to learn more languages. I speak French and English, and would love to speak Spanish, Italian, German, etc. As a global executive, learning these languages would be invaluable to my career, making it easier for me to connect with my colleagues, partners and prospects in other countries, and get a better understanding of their culture. Losing the Signal - The Untold Story Behind the Extraordinary Rise and Spectacular Fall of BlackBerry. It's a valuable story about how Blackberry, a clear market leader, didn't read the signs when it came to the changing needs of their customers and lost its position. The book serves as a great reminder to never rest comfortably in a market leading position, always keep watch of the competition, and constantly challenge whether you are understanding the changing needs of your customers.